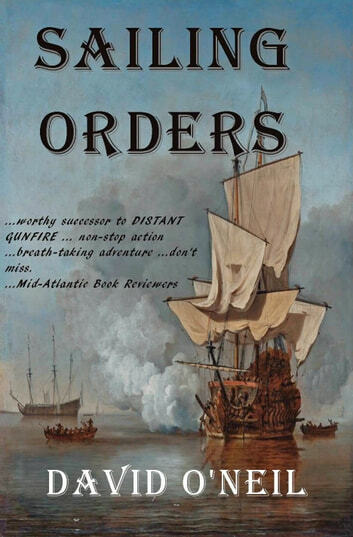 For those awaiting another action adventure naval story of the 18/19th century, then this is it. Following the life of an abandoned 13 year old who by chance is instrumental in saving a family from robbery and worse. 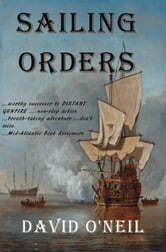 Taken in by the naval Captain Bowers he is placed as a midshipman in his benefactor’s ship. From that time onward with the increasing demands of the conflict with France, Martin Forrest grows up fast. The relationship with his benefactors family is formalized when he is adopted by them and has a home once more. Romance with Jennifer the Captain’s ward links him ever closer to the family. Meanwhile he serves in the West Indies where good fortune results in his gaining considerable wealth personally. With promotion and command he is able to marry and reclaim his birth-right, stolen from him by his step-mother and her lover. The mysterious (call me merely Mr. Smith) involves Martin in more activity in the shadowy world of spies and secret agents. Mainly a question of infiltrating and extricating agents, his involvement becomes more complex as time goes on. A cruise to India consolidates his position and rank with the successful capture of prizes when returning convoying East-Indiamen. His rise to Post rank is followed by a series of events, that sadly culminate in family tragedy. Though still young Martin Forrest-Bowers faces and empty future, yet the mysterious merely Mr. Smith has requested his service. Why does the spymaster require of him, and what lies ahead?